Don't let your flock fall victim to these predators on the prowl. There’s nothing like a predator attack to at once humble you and give you a good kick in the pants to keep your coop secure. 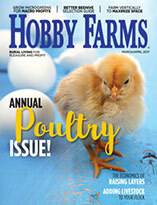 Here are five of the most common poultry predators, and how to guard against their attacks. Because they’re so common, dogs are the most dangerous poultry predator, and when they do attack chickens, it’s rarely gentle: Unlike other predators, dogs attack chickens simply for sport, and if they manage to kill a bird, they usually have little to no interest in consuming it. Guardian breeds, such as Great Pyrenees and Anatolian Shepherds, are bred to protect livestock, however, making them the exception to this rule. To guard against an attack from a domestic dog, complete all of the safeguarding tips in this piece, and be mindful of your own dog. Second, speak to your neighbors and alert them to the fact that you have chickens, if they don’t already know; politely ask that they keep their dogs on their property. The second most common poultry predator, raccoons are smart, abundant and pervasive. They also live in nearly every state in big cities, small towns and every locale in between. Attacks can come from a family group or a single animal, making them all the more threatening. Their dexterous fingers give them an upper hand, as well: Their nimble little hands can unlock latches that other predators don’t even recognize as a roadblock. Of the few fox varieties in North America, red and gray foxes are the two you’ll most likely encounter. They’re quiet, stealthy and sneaky. If you hear yip-­yapping at night—sort of like tiny dogs or puppies barking—you may have a fox in your neck of the woods. Like raccoons, foxes are not relegated strictly to the countryside, though most city dwellers will likely not see them as much as suburban or rural chicken keepers. Foxes are great jumpers and notorious diggers. Any fencing should be high to prevent jumping—5 feet would be ideal—and regularly checked for weak areas. If you find you have a den nearby, remember that in many states, trapping and relocating is illegal and comes with hefty fines. If you have an established problem with foxes, electric fencing can go a long way, though the best way to protect against fox attacks is a livestock guardian dog. Raptors, especially hawks, are a concern for every free-ranging chicken. They circle above, perch nearby and scout the area with skill and silence. Knowing how they hunt, it’s fairly easy to protect against raptors, but not everyone has the ability to guard against them. 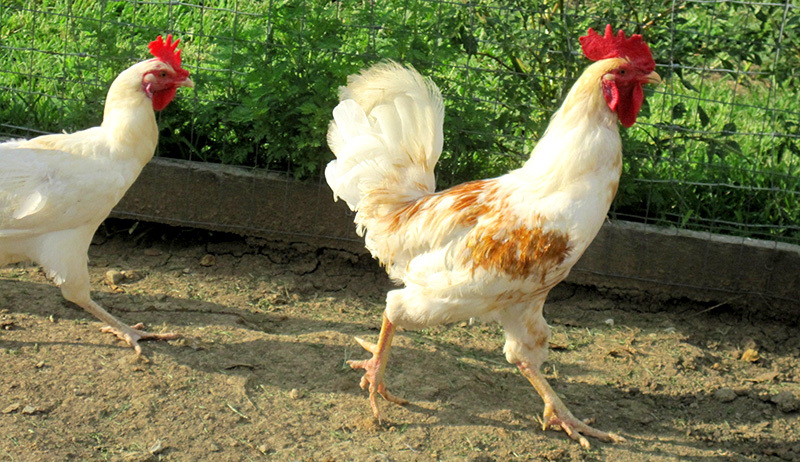 Fully free-ranging birds aren’t completely safe unless they have a reliable pasture guardian, such as a good rooster or a livestock guardian dog. 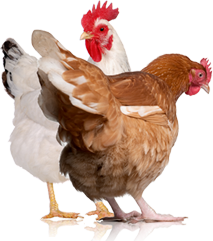 In smaller spaces, chicken runs can be built with roofs which also help with protection against the elements, namely sun and snowfall. Larger runs can be strung with wire or rope to deter aerial threats, as well. Mice and rats are mostly a threat to chicks, weak birds, broody hens and eggs. In addition to the safety measures listed for raccoons, mice can squeeze into the tiniest spaces: as small as 1 inch. 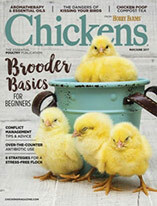 For some coops and barns, it may be impossible to secure every nook and cranny, but when raising baby chicks, brooders should be completely secure, enforced with hardware cloth and built of sturdy materials that mice can’t easily chew through, such as wood or thick plastic. Most importantly, keep your feed-storage area clear and remove old, uneaten food scraps. Knowing how predators in our region live, hunt and spend their days and nights, we can dramatically cut down the chances of a predator reaching our flocks.